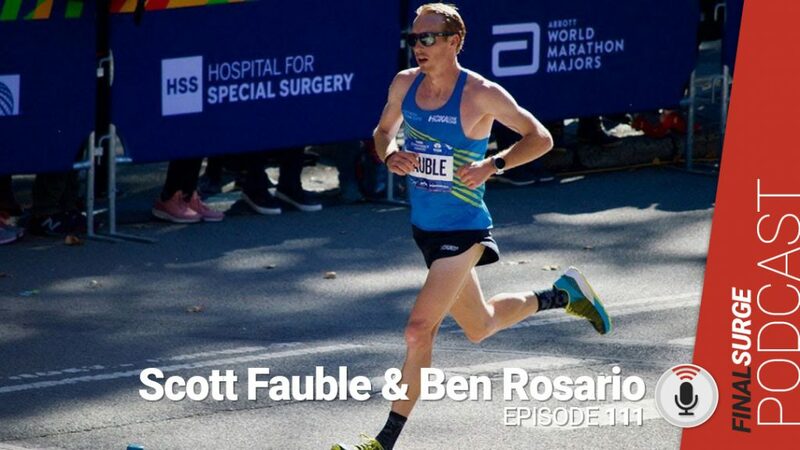 2018 was a very successful year for NAZ Elite athlete Scott Fauble. A seventh-place finish at the New York City Marathon and second American. He also wrote a book with his coach Ben Rosario called Inside The Marathon, which some are hailing as one of the best running books of all time. Scott and Ben were in the Phoenix Metro area recently for a book signing event which allowed me to sit down with them in person to talk to them about the book and what is next. 2:49 Interesting because it was written as you went along and not trying to use memory to recall. When you went back through it was there an ah-ha moment where you learned something maybe you didn’t realize at the time? 5:14 Ben what were your thoughts when he came to you with the idea of the book? 6:32 When he was writing it did you see it day-to-day or only at the end? 8:14 It gives the average runner reading this insight on when you need to scrap workouts. 9:08 What was your daily process like recording this on paper? 11:00 This is like a very detailed running log, did you get more out of it than a normal running log you keep? 11:54 Ben did you learn anything about Scott that maybe you didn’t realize before? 14:02 How can runners learn from how you structure races before your main race by reading the book? 15:57 Were the anxiety issues about performing for the race? 18:23 Do you feel you put extra pressure on yourself by writing a book? 19:15 You ended up 4 seconds behind Jared Ward, didn’t you do some runs together before? 20:27 Ben what is next coming up next for NAZ Elite in far as marathons? 21:26 Will there be another book for when Scott runs Boston? 22:00 Did you self-publish this book? 22:55 What were the biggest struggles in self-publishing? 24:05 Scott what is your goal for Boston? 24:30 You have an internet feud with teammate Scott Smith, now that you beat him, is he now ‘slow Scott’?